I will eat them from a pen, they'll be my favorites, oh, and then, I will eat them from the sea, they'll be the best for you and me. 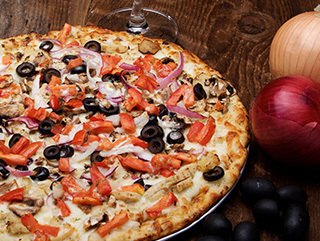 The evolution of Pettine-pizza is right here, with some of the most creative pies originally from the Dawson’s home kitchen. Exquisite & time-honored flavors from the orient. 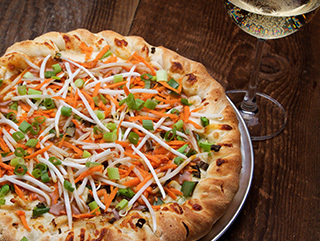 A special homemade Thai ranch, with our great cheeses, julienne carrots, green onions, green bell peppers, bean sprouts & our spicy Thai peanut sauce. Incredible. 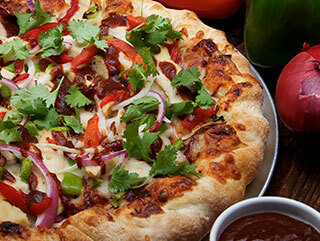 Sweet & spicy… the most ancient of Asian flavor combinations. 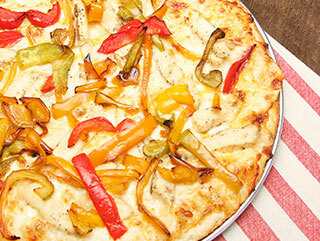 White-sauce topped with tender fajita chicken, green onion, green & roasted red peppers, sweet banana peppers, three great cheeses & our spicy-sweet & tasty Singapore sauce. 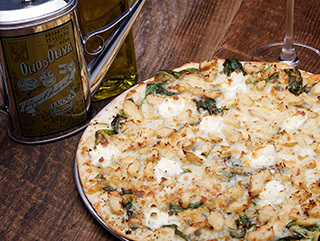 Not a spot of red with our combination of extra virgin olive oil, herbs, garlic, spinach, mozzarella, fontina, asiago, ricotta & our garlic chicken. 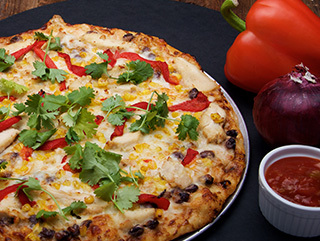 No need to go south of the border for spicy Tex-Mex flavor… Our own zippy chipotle sauce, our great cheeses, seasoned black beans, roasted red bell peppers, sweet corn, cilantro & spicy chipotle salsa. 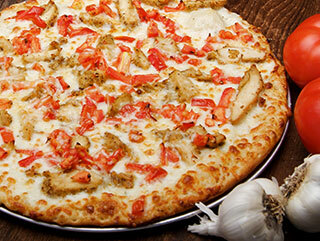 Big taste from the big state of Texas — our tonguetempting special BBQ sauce, smoky provolone, seasoned chicken, onions, green bell peppers, roasted red bell peppers & then finished with flavorful cilantro. Taxi’d straight from Buffalo, NY, that amazing sauce, that incredible heat! 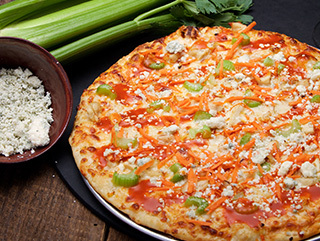 Chicken, julienne carrots & sweet celery, cranked up with cool ranch & our own hot Buffalo wings sauce & topped with monterey jack & tangy gorgonzola cheese. 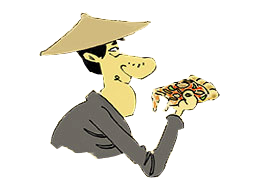 A big Buffalo taste; spicy Company style. Especial from La Compañía from the Mission at Carmen Serdan. 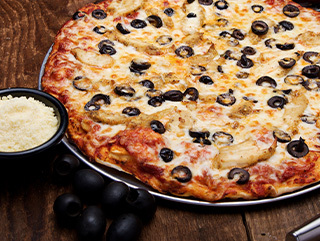 Our special black frijoles & salsa, spicy fajita chicken, onions & cheese. 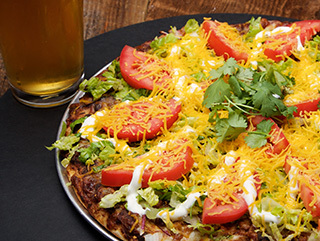 The fiesta continues outside the oven with fresh lettuce, tomatoes, queso cheddar, sour cream & cilantro. 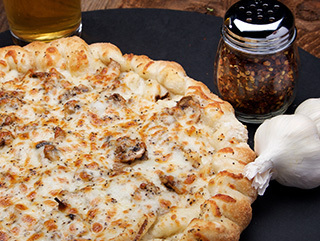 Thin crust is recommended. Fantástico! 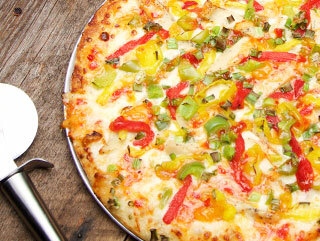 The gulf coast never had it so good with the spicy flavors of our creamy cajun sauce & our olive oil roasted green, yellow & red bell peppers. It’s a real burner from the deep south! 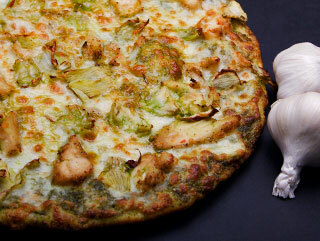 From the wine country of Italy comes our artisan Tuscan herbed chicken on a trio of pies celebrating the simplicity of life in Tuscany & Michelangelo’s birthplace; each topped with mozzarella & asiago.